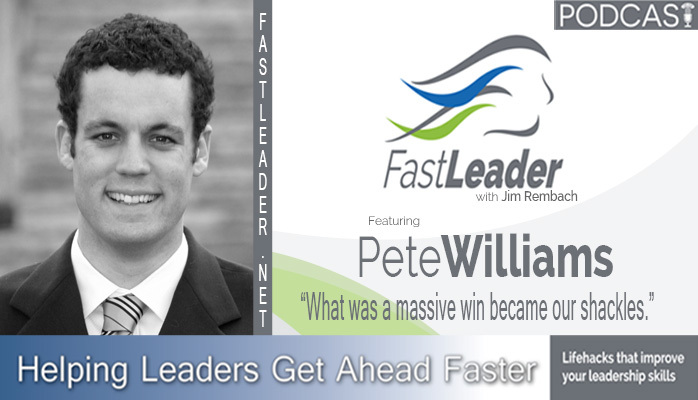 Pete was on the Fast Leader Show to share how he built his telecommunications company and gradually learned that he was not getting any repeat business. He also talks about the 7 Levers of Business framework and what he discovered after implementing it. The Fast Leader Show is a podcast that delivers leadership tips, quotes and inspirational stories in a fun way to help employees, leaders and entrepreneurs move forward in their career and their life. Each episode features a guest who shares their story to help you get over the hump and move onward faster. Listen to this episode here: https://www.fastleader.net/petewilliams/.